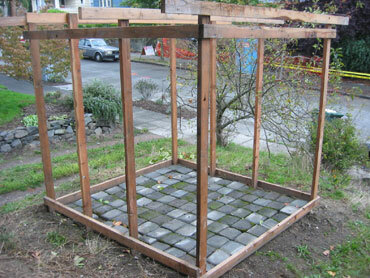 Temporary shelter made from salvaged lumber, salvaged wood doors, salvaged window sash, and salvaged concrete pavers. We had to buy our building materials this year from a salvage company. Hey, we do that for clothing, so why not for doors, windows, and lumber? The ReStore receives donations of usable but unwanted building materials and organizes them wonderfully so that people wanting to buy used instead of new can do so easily. The weather was either raining or about to rain, as we say in Seattle, so we did not eat too many meals in the sukkah. 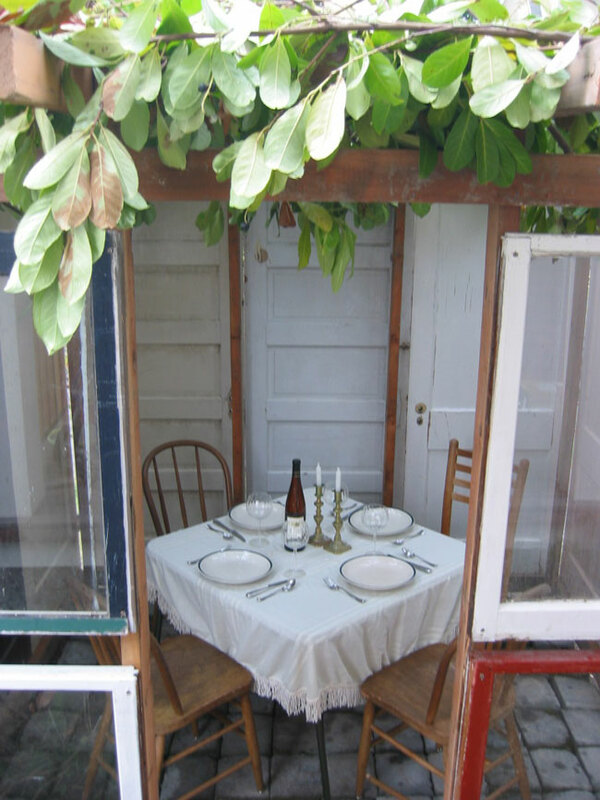 The enclosure provided by the doors was virtually complete, so this sukkah did not afford awareness of passersby nor lighting effects that we have enjoyed in other years. So the lesson learned is that solid walls are a bit boring. Materials cost $100 and construction took one day. 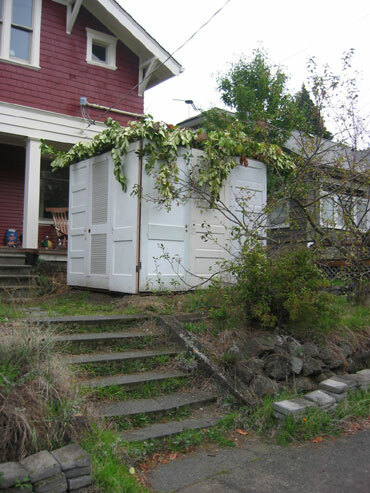 The sukkah was dismantled at the end of the holiday week and the materials were returned to the salvage company for a partial refund and a chance for a better life in someone else's house.